The title of today’s blog may seem a bit odd: you may be recalling your last bootcamp class and remember breathing hard. You may have felt that all you were doing was breathing or, at least, trying to get control of your breathing. 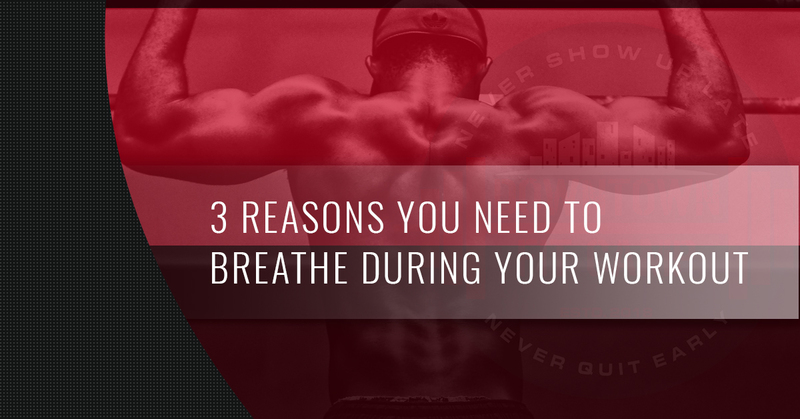 However, today, we are going to talk about why you need to avoid holding your breath and how you can use breathing techniques to get the most out of your workout. Many people while they are working out tend to hold their breath during certain types of exercises and especially those that they feel test them. Those movements in which we tend to hold our breath include plank, core reps, and maybe even during some stretches. Our muscles need oxygen to function and when we hold our breath our energy plummets and we will not perform at our best. Additionally, we can use breathing techniques to help us not only supply our muscles with the oxygen that they need, but also to perform better, and get more out of our workout. Using these breathing techniques can not only help you supply your body with more oxygen, but they can also help your movement to be more dynamic, and they can increase your results. If you’ve upped your weight and you’re nearing the end of your set, you may be holding your breath — but don’t! Instead, exhale on the most demanding part of the exercise or as your muscle contracts. Not only are you able to have a deeper contraction, the consistent supply of oxygen can help to power you through the entire set. For example, when doing squats, inhale as you squat, and exhale as you rise up. Some recommend that right before you get to the sticking point or the hardest part of the exercise, holding your breath and then exhaling once you’ve completed it. This second technique isn’t for everyone, especially those with a heart condition, but it can be helpful for some. During cardio it is easy to either hold one’s breath and to try to last through the difficulty or to breath uncontrollably. However, neither provide you advantages. Controlled breathing during cardio allows you to increase your levels of nitric oxide which relaxes the arteries allowing blood to flow more freely and supply your body with oxygen. We suggest adopting a rhythmic breathing technique during cardio bursts: inhale for three seconds, and then exhale for two. Intentional breathing does require concentration, but once you’re in the groove, you will realize how your endurance seems to increase. Intentional breath work can also lower your chances for injury. During plyometrics, your breath plays a different role than it does during weight lifting and cardio: it stabilizes your body which is incredibly important during these explosive movements. To use your breath to your advantage, hold your breath slightly as you make contact and then exhale after you release. For example, during box jumps, hold your breath as you touch down on the box; this technique will allow you to rebound quickly. These aren’t the only ways to get the most out of your workouts! Read our next post to learn how to use your breath while you stretch. Are you ready to take your fitness to the next level? Whether you’ve been working out and it’s time for a change or you’re ready to start your fitness journey, Downtown Fit Camp offers bootcamp classes that will challenge and empower you. You will get addicted! To learn more about us, our schedule, and more, visit our website. Let’s get moving!